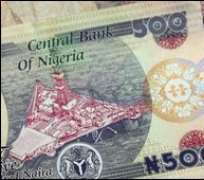 Debtors owing the five troubled banks whose chief executives were axed last Friday by the Central Bank of Nigeria (CBN) seem to have no breathing space any longer. The Economic and Financial Crimes Commis-sion (EFCC) yesterday handed over a seven-day ultimatum to them to pay their debts or face arrest, prosecution and possible seizure of their assets. Yesterday, CBN unfolded the list of debtors comprising companies and their directors who secured loans worth N747 billion from the affected banks. EFCC Chairman Farida Waziri told journalists that the anti-graft agency opted to go tough on the debtors because of the urgent need to salvage the financial sector from total collapse and restore discipline to the sector. The commission appears to have been imbued with powers to do so under Section 42 of the Economic and Financial Crimes Commission (Esta-blishment Act, 2004). Waziri said if the individuals and companies involved continue to default in payment, her agency would be left with no alternative than to prosecute them immediately. She was guest speaker at a forum organised by Lawyers in the Media (LIM) at the ongoing annual general conference of the Nigerian Bar Association (NBA) in Lagos. The EFCC boss said the opportunity of repayment of the loans within the stipulated date was to enable those involved in the bank borrowings to either pay through bank drafts or cheques in the name of the Federal Government. She said it was in the interest of the debtors to comply with the directive rather than wait for arrest and prosecution. “I will advise the debtors whose names had already been published by the Central Bank to take advantage of this ultimatum by issuing their cheques and drafts in the name of EFCC for proper and coordinated recovery after which we restitute by returning the funds to the appropriate banks,” Waziri said. A breakdown of the loans, which are classified as non-performing, is as follows: Oceanic Bank Plc, N278.204 billion or 37 per cent; Intercontinental Bank Plc, N210 .903 billion or 28 per cent; Afribank Nigeria Plc, N141.856 billion or 19 per cent; Union Bank of Nigeria Plc, N73.582 billion or 9.8 per cent; and FinBank Plc, N42.445 billion or 5.6 per cent. The two biggest debtors to Intercontinental Bank are Ascot Offshore Nigeria Limited through which Henry Imasekha along with three others secured N44.67 billion and Rockson Engineering Limited through which Engineer J.1. Arumemi-Ikhide and his wife secured N36.989 billion. Oceanic Bank on the other hand, has Notore Chemical Industries Limited, which borrowed N32.392 billion and Rahamaniyya Global Resources through which Abdul Rahaman Musa Bashir got N28.598 billion. The two principal debtors to Union Bank are Transnational Corp Plc, in which the Director-General of the Nigerian Stock Exchange (NSE), Dr. Ndi Okereke-Onyiuke, is a director/ major shareholder, which borrowed N30.863 billion on behalf of the company and MTS First Wireless Limited through which Chief Lulu Briggs secured N9.849 billion. Afribank has Kolvey Company Limited, which borrowed N16.5 billion and Rehoboth Assets Limited through which five of the Ajaegbu families got N28.598 billion. The two key debtors to FinBank are Aquitane Oil and Gas which borrowed N3.656 billion and Falcon Securities through which it's Managing Director, Peter Ololo, who is currently cooling off with the EFCC in Abuja secured N3.49 billion. The Lawyers in the Media's programme, with the theme “Crusade Asgainst Corruption and Effects of Trial by Media,” was one of the sessions held yesterday as part of the activities lined up by the NBA for the five-day conference. Speaking earlier in her presentation, the EFCC boss solicited the support of the media, the Bar, the Bench and the general public in the fight against corruption in Nigeria. She said lawyers should also not expect to constitute a clog in the wheel of justice, adding that they (lawyers) had in recent times “thrown overboard the laudable and distinguishing ethics of the legal profession. It is now a shameless act for many defence counsel to exploit and abuse the judicial process to stall prosecution of cases by frivolous and endless interlocutory applications and appeals. Some engage in blackmails and intimidation of judges and all kinds of schemes which delay and frustrate trials”. The EFCC chairman also admonished the media while carrying out their constitutional duty to not “usurp the role of the court by carrying out trial and reaching conclusion on the guilt or otherwise of persons who are accused of having committed any offence related to corruption or any other crimes on the pages of newspapers or electronics media”. She added that inasmuch as the public should be informed of alleged corrupt activities of its public officers, the media should to do so within the confines of the rule of law. Waziri said most times, the report in the media of those undergoing trial prejudices the minds of the public and make them hold the court in contempt and dishonour, “especially where it ultimately reaches conflicting or different verdict”. The Lead Speaker, Prof. Peter K. Fogam of the Faculty of Law, University of Lagos (UNILAG), said inasmuch as the media have a constitutional right of expression, “they should also direct some efforts to protect the rights of an accused to a fair trial. The media must be careful about the very important right of those who are being accused of corruption, which the media are fighting”. Others who discussed the topic included Prof. Ralph Akinfeleye of the Department of Mass Communication, UNILAG; Legal Adviser and Member of the Editorial Board of The Guardian Newspapers, Mr. Kingsley Osadolor, and the Executive Director, Centre for Free Speech, Lagos, Mr. Richard Akinnola. Meanwhile the Board of the Securities and Exchange Commission (SEC) yesterday gave a seven-day ultimatum to the Director-General of the Nigerian Stock Exchange (NSE), Prof. Ndi Okereke-Onyiuke, to explain the circumstances under which Transcorp Plc, which she chairs, appeared on the list of “non-performing” debtors of the five banks whose executive managements were removed by the CBN last Friday. As a follow-up to the removal of the executives, the undercapitalised banks whose loans had not been performing, the CBN yesterday published the names of debtors who owe a total of N747 billion. Transcorp, which Okereke-Onyiuke chairs, was said to owe Union Bank of Nigeria Plc N30.9 billion and Interconti-nental Bank Plc N6.5 billion. A statement by SEC's Head of Media, Mr. Lanre Oloyi, said that in furtherance of its mandate of ensuring the integrity of the market, the commission had requested the NSE DG to explain the circumstances that warranted Transcorp to owe the said sum. He said that the decision to query Okereke-Onyiuke was arrived at by the commission at its 43rd meeting held in Abuja yesterday. “Furthermore, in order to protect the integrity of the capital market, the commission has also directed the immediate suspension of any of the affected executives of the five banks who are members of the council of the NSE pending the conclusion of investigation of allegations against them by the CBN,” SEC said. The board of the apex regulator of the capital market commended CBN's action aimed at sanitising the banking system and mandated its commission's management to intensify surveillance of the market and its operators. In order to give the new management of the affected banks time to settle down and appropriately brief the market, the commission confirmed that it had directed the NSE to place the securities of the said banks on full suspension for a period of two weeks, which had already been implemented last Monday. “The commission has also directed that henceforth no securities of a public quoted company should be placed on technical or any other form of suspension without the prior approval of the commission. Apart from the five banks whose suspension was recently approved by the commission, the NSE has been directed to forward to the commission, the list of all quoted companies currently on technical suspension, for its review,” SEC said. However, in an earlier interview with THISDAY, Oni had explained that Okereke-Onyiuke was not indebted to any bank in her individual capacity. He said that the N30.9 billion owed Union Bank was part of the loan taken by Transcorp to purchase 51 per cent stake in Nigerian Telecommunications Limited (NITEL). Transcorp has been experiencing strings of challenges since it bought into NITEL. Before the government revoked its sale, Transcorp was said to be using profit from some of its other businesses to fund the operations of NITEL. The development necessitated shareholders of Transcorp to authorise the directors to divest its stake in the telecommunications outfit and concentrate on other businesses. The share price of Transcorp has suffered severe bashing at the stock market and is currently trading at par value of N0.50 per share.